Step 2: Start iTunes 9. Sync your iPhone with your PC so that iTunes backs-up all your important data including settings, apps, music, contacts and photos. Step 3: Download PwnageTool 3.1, Bootloader 3.9 & 4.6 and the original iPhone OS 3.1 firmware (download links given below). Move all these files to your desktop. For Windows Users: PwnageTool is for Mac OS X only so you will have to download a custom cooked firmware for your iPhone version (2G or 3G). I can’t post the download links for these files for the reasons you all know very well. 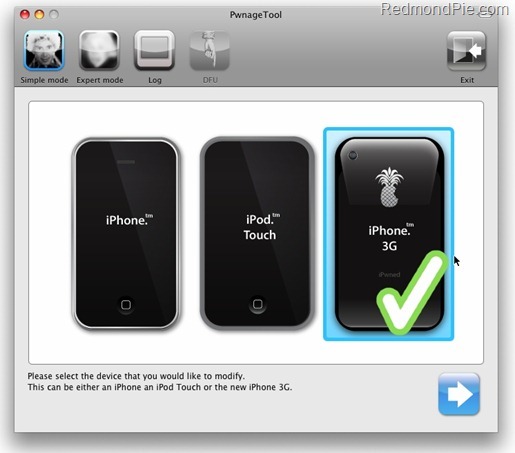 Just Google “iPhone 2G Custom 3.1” (If you are using iPhone 2G) or “iPhone 3G Custom 3.1” (If you are using iPhone 3G) and use one of the torrent links to download the custom created .ipsw file and then continue this guide posted below from Step 8. Step 5: PwnageTool 3.1 will now automatically detect the correct firmware for your device. Step 6: Click on "No" when PwnageTool asks you “Do you have an iPhone contract that would activate normally through iTunes?”. 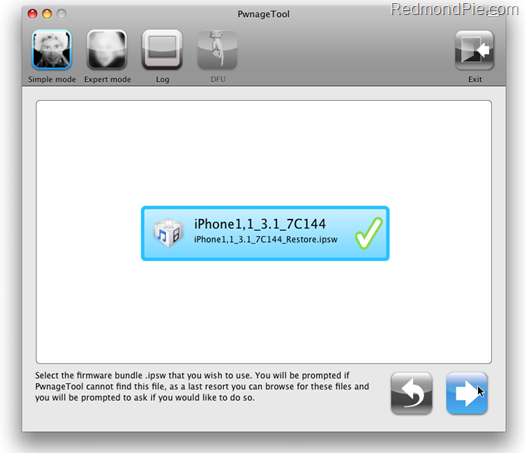 Step 7: PwnageTool will now create the custom .ipsw file for your iPhone which will be jailbroken and unlocked. Now press and hold left “alt” button (“Shift” button on Windows) on the keyboard and then click on “Restore” (Not “Update”) button in the iTunes and then release the “Shift” button. This will make iTunes prompt you to select the location for your downloaded custom firmware 3.1. Select that custom .ipsw file and click on “Open”. Step 9: Now sit back and enjoy as iTunes does the rest for you. This will involve a series of automated. Be patient at this stage and don’t do anything silly. Just wait while iTunes installs the new firmware 3.1 on your iPhone. Your iPhone screen at this point will be showing a progress bar indicating installation progress. After the installation is done, iPhone will restart automatically and you should now have a fully unlocked and jailbroken iPhone 2G. iPhone 3G on the hand will only be jailbroken, not unlocked. 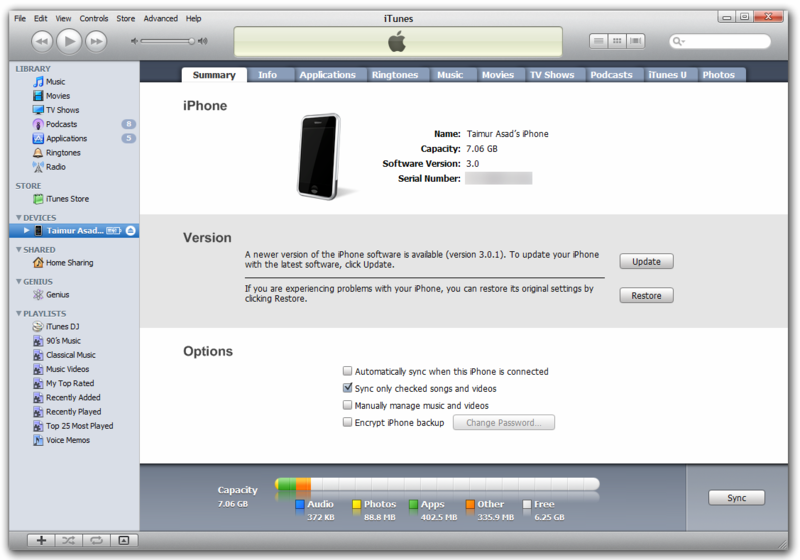 iPhone 3G users can follow the guide posted here to unlock their device on firmware 3.1 using ultrasn0w. Step 10: Once you are done with the unlocking and jailbreak process. You can now restore all your settings, apps, music, contacts and photos to the newly installed firmware version 3.1 by restoring the backup that you made in Step 2 from iTunes. iPhone 3GS users will have to wait for the updated versions of redsn0w and ultrasn0w in order to jailbreak and unlock their device. If you are an iPhone 3GS user and you have accidently upgraded to 3.1 then you can downgrade your phone back to 3.0 with jailbreak by following the guide here. Feel free to ask me any question here should you run into any problem during the update process. UPDATE 1: Those of you who are getting “16xx” and “21” error in iTunes when restoring should follow the instructions posted here to fix this problem. UPDATE 2: iPhone 3GS can now be jailbreaked and unlocked running on firmware 3.1. Follow the step-by-step guide posted here to jailbreak and here to unlock iPhone 3GS on firmware 3.1.
what if iTunes can't recgonize the sim card?? Please help!!! After upgrade (use pwnageTool 3.1.4) my iPhone 1st Gen firmware 1.1.4 baseband 04.04.05_G to firmware 3.1.2 baseband 04.05.04_G. my iPhone can’t detect my home wifi. (WIFI no problem on baseband 04.04.05_G). So please your assistance to help me to fix my problem above. Thanks a lot and appreciated for your kind assistance and att. I recently just updated to the 3.1.2 firmware but after jailbreaking I find out that my baseband is 04.05.04_G not 05.11. I proceeded to unlock with blacksn0w but it doesnt seem to have unlocked successfuly. Its basically an iPod now. I tried ultrasn)w and it also seems to be unlocked but just keeps searching for network forever. Pls, wat can I do to fix it? hi.. 2 days ago my ihone upgrade from 3.1.2 to 3.1.3 and now not works, my friend said if basband go up not down again, it's true..?.. if not please give me solution for walk out from this because until now my iPhone not working. i upgraded to 3.1 from 3.0 using custom firmware file, now my itunes says the sim is not supported, can you pls help.